Growing on a budget? Got a pot with weed in your closet? Wondering if this little bulb might be the answer to your prayers for cheap lighting? Let’s take a closer look and see. But before you click away in despair, or gift it to your mom for her basil, let’s see if it can help you grow weed at all. Because it can. Just saying. It’s not money down the drain. This is actually a good little bulb from a reliable company. First off, this is the review for the Vegetative Grow Light. 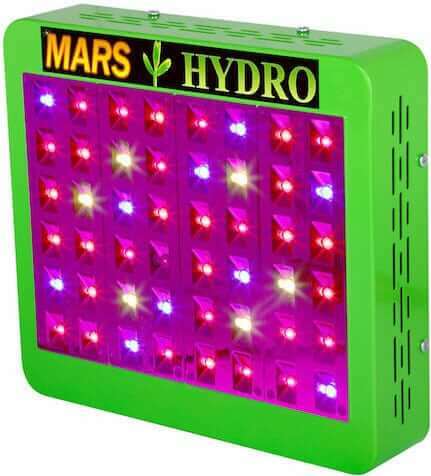 You can also buy their LED Full Cycle Grow Light. Its balance of colors is different from the Vegetative Light. Skip farther down in this review to learn more about it. Sansi’s 15-watt LED lamp is packed with LED bulbs mounted in a circle. They give off full spectrum light, from 480 to 700nm. 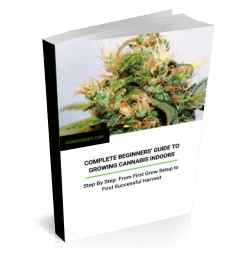 That means blue, green, red, and infrared—just what you need to encourage plant growth indoors. The quality of the light is good, so that’s not the problem. The problem is coverage. Sansi says this bulb can cover plants in a space up to 2.8-square feet in size if it’s hung 12 to 20 inches from their tops. And if you’re raising lettuce, that’s just fine. 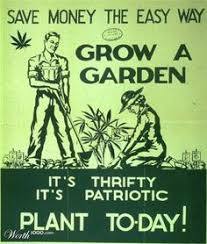 But cannabis is much more demanding, especially when it starts to flower. And an adult cannabis plant takes up a lot more room. Some smart customer pulled out his/her light meter and discovered that the most powerful part of the light is focused on an 8-inch diameter circle. That’s pretty small, but it could work for sprouting seeds or nurturing seedlings or clones. Not many at once, but a few. What if you bought a series of these and mounted them in your grow tent? Would it work? 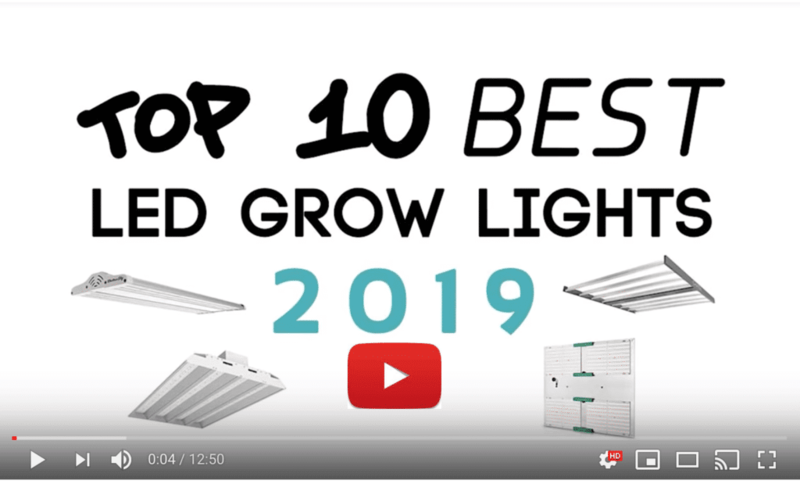 Well, it could be cheaper than investing in an LED grow light panel. But again, you’re looking at a very small effective grow area, so you need the bulbs to be mounted close to one another. It might get a little hot since there’s no cooling fans or heat sinks like panels have. Then Sansi themselves say this is a vegetative grow light. It’s not designed for supporting the blooming phase. What’s the verdict? We think this is a great little bulb for herbs, but not so much for The Herb. Unless you want to sprout or baby your clones for a while. But you’re going to have to upgrade to something with more power for your weed. To wrap up, let’s go over the rest of the details. It’s like the credits at the end of the movie. Maybe there will be a cut scene. Stick around and see. The 16 LEDs are rated for 30,000 hours of life before burning out. That’s years of raising plants, so no worries on that count. They are mounted in a ceramic structure that dissipates their heat. The bulb can operate on a wide range of voltage, from 90 to 246V. Folks that took the time to measure the wattage that the light consumes found that the manufacturer didn’t lie—the bulb uses just under 15W of power. But wait, there’s more. The light it emits is divided up like this: 20.12% blue, 4.44% green, 61.30% red, and 14.14% “far red,” which is infrared, because it’s 700-780nm. Blue light waves (or particles) measure between 400 to 499nm, or nanometers. Green measures 500 to 599nm. Regular red is 600-699nm. That’s about the limit of human vision, 700nm or so. That’s why you can’t see the light from your remote control, but a piranha can, and so can a snake. Dude, I swear. If you were to compare this to the Sansi Full Cycle Grow Light, you’ll see a different mix of light colors. The Full Cycle bulb has a little less blue, a lot more green, and less red. Specifically, it has 19.46% blue, 37.70% green, 36.23% red, and 6.61% infrared. What does that mean? This color arrangement is designed to support the entire growth cycle of a plant. More green light helps photosynthesis. So yes, you could use this to raise cannabis…but the same problem is still here. One lamp won’t be enough for an adult cannabis plant if you want maximum flowering and bud development. If you’re considering this for your grow room, invest in three and mount them in a circle. They are inexpensive and use very little electricity. Plus, you can supplement the flowering stage with more light. Now, wait a moment. Yes, there’s still another option for saving your pot harvest. It’s the Sansi LED Flowering Grow Light. I bet you can guess which color ranks highest in this bulb. Yep, red, lots and lots of red. In fact, it puts out 65.35% red and 15.25% infrared. So let’s make a new plan for using these economical little grow lights to raise big, healthy weed. Use the Vegetative lamp for sprouting and getting clones started in their new life as independent plants. Use the Full Cycle lights for the vegetative stage, then supplement them with the Flowering Grow Lights for the last few weeks. Ta-da! Anyway, back on topic. The Sansi lamp measures about 3.46” in diameter and fits a standard light socket, but it’s pretty heavy at more than half a pound. It comes with installation instructions (we don’t know why you’ll need them unless it’s like that joke about how many pot smokers does it take to screw in a light bulb…). Sansi offers a 5-year warranty and they have customer support available by email. They are a well-known Chinese manufacturer that also makes 3D LED displays and intelligent street lights that can call emergency services and warn if heavy traffic is up ahead. Pretty cool stuff. Okay, you made it this far. Check out this cut scene: it’s how to make cannabis oil for cooking all sorts of goodies. Come back soon, there’s always something cooking around here.